Commercially funded UK pubcaster Channel 4 has greenlit a five-part unscripted format that puts people suffering from dementia in charge of a restaurant. The Restaurant That Makes Mistakes (5×60’) is being produced by Red Arrow-owned UK prodco CPL Productions and WPP-owned Motion Content Group with support from charity The Alzheimer’s Society. CPL previously produced hit C4 format Old People’s Home for Four Year Olds. The new series is inspired by a real-life Japanese pop-up restaurant that opened in Tokyo last year and was staffed entirely by people living with the condition. A host of celebrity diners and members of the public will visit the restaurant over a five-week period to put the newly trained staff to the test in one of the most high pressure working environments there is, according to the producers. The number of people with dementia in the UK is forecast to increase to more than a million by 2025 and C4 hopes the programme will start a national conversation about people who live and work with the condition. 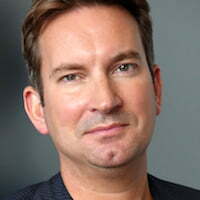 The show was jointly commissioned by Channel 4’s head of entertainment Ed Havard and head of features and formats Sarah Lazenby. The executive producers are Murray Boland, Danielle Lux, Trish Powell, Benjamin Leigh and Martin Oxley.